https://mariacalfa-depaul.bandcamp.com ***hey everyone I have my songs on bandcamp!! If you like what you hear please consider purchasing some of my music. This would enable me to keep doing what I'm doing.! Thank you so much!! 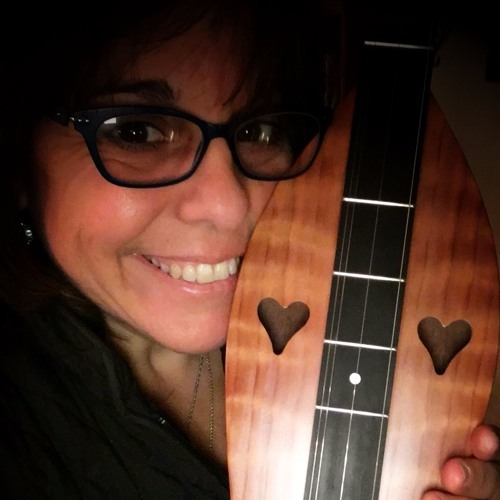 https://mariacalfa-depaul.bandcamp.com About Maria Calfa-DePaul: Singer/Songwriter Maria Calfa-DePaul spent her childhood in Brooklyn and then Suffern, NY where she currently resides with her husband and two sons. Her interest in musical performance began in college where she minored in music and continued into her early thirties when she worked as a Wandering Minstrel. In 1997 she developed a cyst on her vocal cords which made it impossible for her to continue singing but her passion for songwriting never diminished. Thanks to successful vocal cord surgery in September 2005 and subsequent speech therapy Maria is once again able to perform. Maria entertains at various venues in Rockland and Westchester Counties. Her self produced CD “Moments Of Happiness” contains 10 original songs and is available at cdbaby and iTunes. Recently, Maria was honored with having one of her songs: Silent Prayer place in the top 5 songs for the spiritual/gospel category in the International “Song of the Year Contest” a sponsor of VH1 Saves the Music. Being given a second chance to entertain is a fulfillment of a life long dream for this grateful singer/songwriter.